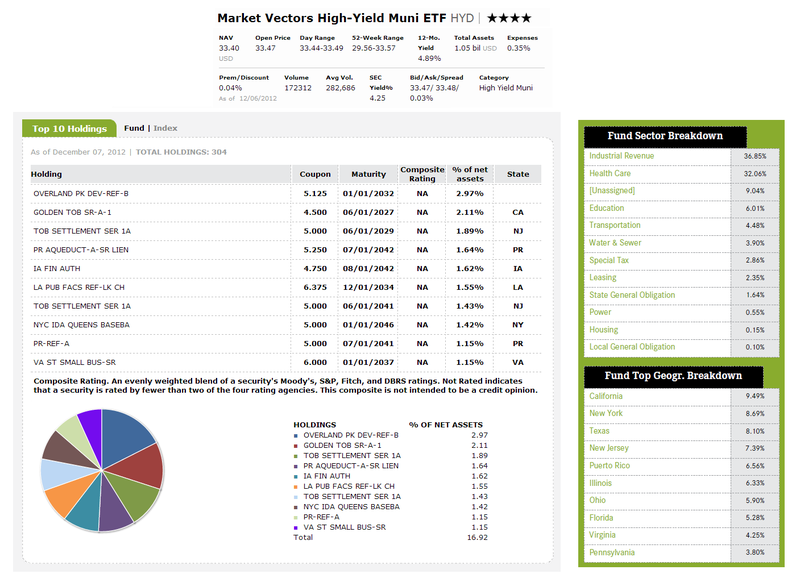 Market Vectors High-Yield Municipal Index ETF objective is to replicate the performance of the Barclays Capital Municipal Custom High Yield Composite Index (LMEHTR). It utilizes its assets to purchase a portfolio of non-investment grade municipal bonds (75%) and investment grade muni bonds (25%). As part of Van Eck fund family, this top performer in muni bond ETF has total net assets of $1.04 billion. It has annual expense ratio of 0.35%. The current fund yield is 4.89%. 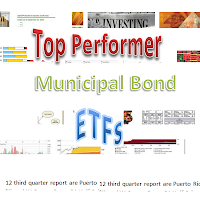 Ranked with 4 star rating by Morningstar, this top performer municipal bond ETF has YTD return of 17.84%. The fund has effective duration of 10.31 years and average maturity of 22.92 years. The current shares price is $31.94 (12/16/2012). 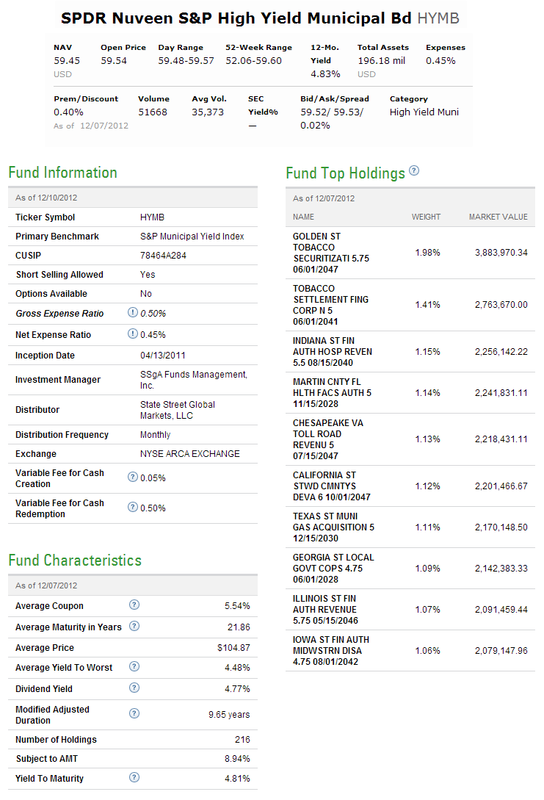 As of December 07, 2012, this fund has a total of 304 holdings. The top holdings are Overland PK DEV-REF B (2.97%) and Golden TOB SR-A-1 (2.11%). The top sector breakdown is Industrial Revenue (36.85%) and Health Care (32.06%). California (9.49%), New York (8.69%) and Texas (8.10%) are the top geographic breakdown. This SPDR Nuveen S&P High Yield Municipal Bond fund invests mainly in US high yield municipal bond market and to provide income that is exempt from federal income taxes. The fund uses the S&P Municipal Yield Index as its benchmark. The tax free dividend yield is 4.83% and is distributed on monthly basis. Its total net assets are $183.96 million. The annual expense ratio is 0.45%. This best performing high yield muni bond has average maturity of 21.86 years. It has year-to-date return of 17.76%. Since its inception, it has returned 17.00%. The top 2 holdings as of December 07, 2012 are Golden St Tobacco Securitizati (1.98%) and Tobacco Settlement Fing Corp (1.41%). The top states are California (18.69%), Florida (7.73%) and Ohio (7.16%). The investment aim of Market Vectors CEF Municipal Income ETF is seeking to replicate the price and yield performance of the S-Network Municipal Bond Closed-End Fund Index (CEFMX). 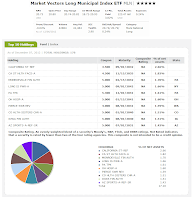 This muni national long ETF fund has total net assets of $14.71 million. It has 30-day SEC Yield of 5.09%. The fund has YTD return of 17.46%. Since this fund has just been incepted in 2011, it has no Morningstar rating yet. It has total of 75 holdings as of December 07, 2012. The top holdings are Nuveen Municipal Value Fund (5.75%), Nuveen Industrial Muni Opportunity (5.06%), Nuveen Premium Inc Muni Fund (3.44%) and Muni Performance Plus Muni (3.06%). As part of Van Eck ETFs, Market Vectors Long Municipal Index ETF uses its assets to buy long-duration municipal bonds. It tracks the performance of the Barclays Capital AMT-Free Long Continuous Municipal Index (LMT3TR). Its total expense ratio is 0.24%. Morningstar rated this fund with the highest rating (5-stars rating). It has 12-month dividend yield of 3.79%. The dividend is distributed on monthly basis while the capital gains are distributed annually. It has total net assets of $106.57 million. This top performer municipal bond ETF has average maturity of 24.38 years. It also has 13.52% of YTD return. 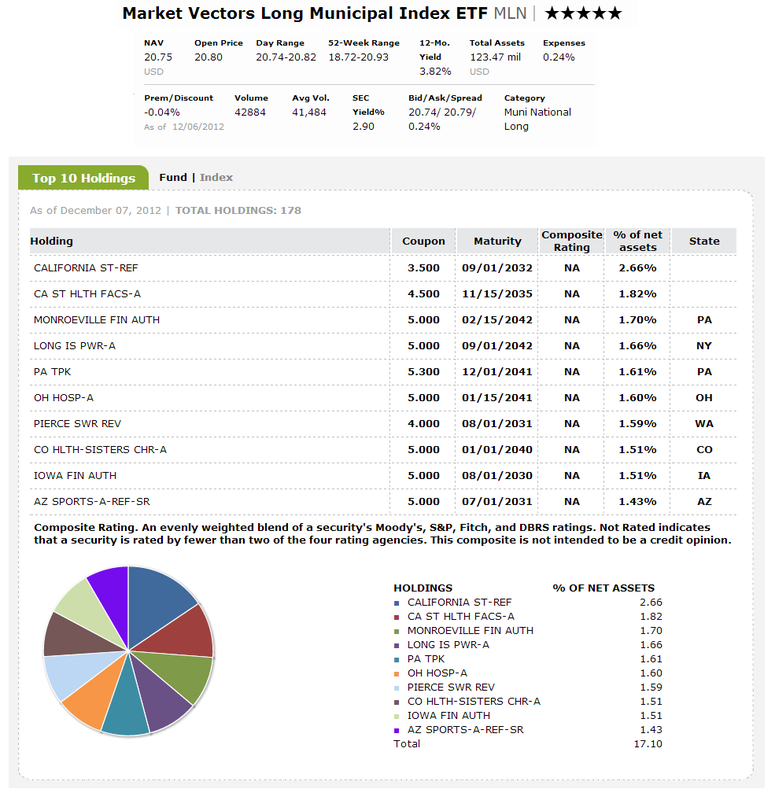 The top holdings are California ST-REF (2.66%), California State Health Facs-A (1.82%), Monroeville Financial Authority (1.70%) and Long Island PWR-A (1.66%). 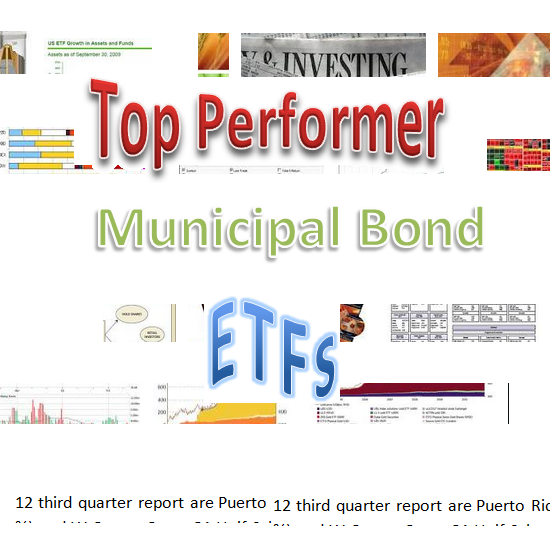 The top holdings as per the 2012 third quarter report are Puerto Rico Commonwealth (5.48%), Chicago IL Wastewater Trans Rev (3.27%) and W Contra Costa CA Unif School Dist. (3.09%). The top 2 state allocations are California (16.26%) and Florida (10.20%).